Tomorrow on CBS College Sports, the 4th-ranked Horned Frogs of TCU (9-0, 5-0 Mountain West) host 16-ranked Utah (8-1, 5-0 Mountain West) at Amon G. Carter Stadium in Fort Worth (TX) in a game with huge national implications. It is a safe bet that CBS College Sports has never had a game of this magnitude. Atlanta Tom Hart will be calling the play by play, Aaron Taylor has the analysis, and Lauren Shehadi is on the sidelines. Jon Norton will be producing the game, with Rick Beczynski in the director's chair. Adam Zucker and "Mr. College Football" Tony Barnhart will anchor live studio coverage from the game site. The studio show starts at after the conclusion of the Navy - Delaware game, with kick-off scheduled for 7:30 PM ET. A few weeks ago, Tom and I were talking about how important the statistician and spotter are to his on air success (and sometimes failures). He offered to write an article about it, and we are pleased to present it on the eve of this big game. The role of a television play by play announcer is simple. Call the play, identify the ball carriers and tackler, and if necessary give yardage and down and distance. Then get out of the way for your analyst to earn his money. Rinse, repeat, read a promo, then do it all again. Typically the most quiet man in the booth is the most important. He may arrive carrying a laptop with personalized spreadsheet, a stack of post it notes and a pencil, or a dry erase board. In one college town I frequent the stat person uses a child's tear away magic pen set to write the stat, show it to the announcers, then lift the plastic sheet to erase the tablet. Whatever the weapon, a good stat man adds helps the broadcast run smoothly. A great stat man enhances the broadcast more than HD and surround sound ever have. By listening to the conversation between the play by play and analyst, he can provide numbers to complement a story line or to drive home a point. This makes everyone look smarter. If there’s a mistake, quoting cinematic masterpiece Billy Madison, “we are all dumber for having heard that”. Those scenarios are all too common in live television. For example, let’s revisit a Mountain West Conference matchup I called a couple of years ago. The punter was having a great day, as difficult as that can be to picture. He was constantly booming spirals high into the thin mountain air, giving his coverage team plenty of time to get downfield and limit the opponents returns. Poor field position was the only reason he didn’t pin the others inside their 20 every kick. Then he unleashed a boomer. Standing near his own 10 yard line he caught the ball flush and lifted a perfect spiral towards the clouds. A glance at the numbers guy was all he needed to be reminded to quickly calculate the distance. Employing a shoot first ask questions later mentality I told him exactness could give way to promptness on a long play. “If we’re off by 1 or 2 yards it’s no big deal, just as long as your give me the number before we go to break”. The number this time was 90! Wow! He really did crush it. But as soon as the words came out of my mouth I knew they were wrong. At the break I removed my headset to talk to the stats man. As in Ron Burgundy. He put the number in front of me and I read it without thinking. Could have been worse. I could have told San Diego to go scratch. But there’s the rub. As the announcer you need a critical eye to avoid mistakes, but you also have to possess a blind trust in the people you work with – especially the person in charge of providing real time game stats. We laugh about it now, but it wasn’t so funny when a media critic blasted me in a column the next day. A good statsman can be fantastic, while a simple mistake can cost the entire broadcast its credibility. If he can identify trends that may be go unseen by the talent he can develop storylines with numbers. Finally, he can help bring focus back to the game. This takes on added importance when discussion drifts. Perhaps there is a guest in the booth, or a topical discussion of Heisman hopefuls. Whatever the distraction, nothing pulls you back to the game and allows you to summarize the action like raw numbers. There are more moving parts on a production team than even I know, and I call games for a living. In the booth it’s a delicate dance between voices in your head, scraps of paper, media guides and highlighters – in that order mostly. That dance turns into a mosh pit sometime after the opening kick. Even when it should be calm during commercial breaks it’s just more of the same. When viewers are grabbing another drink or checking scores we’re doing exactly the same thing. At the same time we’re also having discussions with the producer about upcoming packages, talking in the booth about team tendencies and emerging storylines, requesting specific stats to support our discussion and more. In this day and age we may also be text messaging, tweeting, or e-mailing to keep up with national storylines. Another important support person is the spotter. During action spotters help identify players by pointing to a numbered box on a spotting board. It may sound simple, but next time you watch a game, try to count how many players are involved in a key play. Quarterback’s (1) pass tipped in backfield by defensive end (2) before it’s caught by by running back (3) who turns upfield before cutting back behind key block by an offensive lineman (4) on a linebacker (5), but before he can reach the end zone gets stripped of the ball by the free safety (6) and the ball is recovered by a cornerback (7). Suddenly the spotter is pointing at numerous players and waving his hands in the air, it’s a game of non verbal communication that would rival the floor at the Exchange. Spotters wave imaginary flags, stage managers thrust index cards, Aaron Taylor practices his slide step, Akbar Gbjaja-Biamilia dances to ‘Thriller’. Sometimes all of this happens at once. Oftentimes the most difficult aspect of communicating within the broadcast booth is a simple question of real estate. If Imelda Marcos found room for her shoes in one closet, you would figure there would be plenty of room in a broadcast booth for the following, in no particular order: Play by play person, color analyst, spotter, Aaron Taylor’s Outland Trophy, talent stats, Akbar Gbjaja-Biamilia’s name plate, stage manager, etc. But at most college stadiums I work at space is at a premium. It’s like planning a seating chart at Thanksgiving – someone is gonna get stuck at the kids table. So when I entered the broadcast booth at Rice Eccles Stadium on set day for a primetime matchup between 10th ranked TCU and #11 Utah last year I was intent on thinking it through. This was a primetime showdown that would propel the Utes to a Sugar Bowl win against Alabama. CBS producer Ken Mack encouraged me to set the booth to my liking, and personally promised that he would make sure every monitor would be exactly where I wanted it. Not used to such a privilege, I simply went with the typical setup for our games. From left to right facing the field: Stat guy with stat monitor, me, my monitor, spotter, ISO monitor, Dan Fouts, Telestrator, Stage Manager. I was well on the way to diagramming this preferred setup when out of the corner of my eye I saw my partner ever so slightly raise an eyebrow. “Well, I think Keith would know” was my brief response. Acquiescing to a Hall of Fame quarterback was easy enough, but as I told Dan, to go against the unrivaled voice of college football would be sacrilege. If Keith Jackson does it that way, then by golly I think it’s good enough for me. Now if only Keith’s guy was available run stats that night. 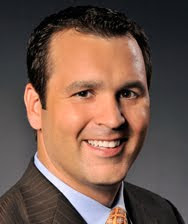 Tom Hart is a veteran football and basketball play-by-play announcer for CBS College Sports Network, now in his fifth season. Hart graduated from University of Missouri after spending one season playing football at Quincy (Ill.) University. A native of Columbia, Mo., he was previously the television announcer for Georgia Tech football and host of the Atlanta Braves minor league show "Movin On Up". Hart was the radio play-by-play voice of Wake Forest women's basketball for two seasons while working for ISP Sports in Winston-Salem, N.C. At ISP Sports, he served as a studio host for several schools' football and basketball coverage, including: Virginia Tech, Wake Forest, Tulane, Southern Miss, and Georgia Tech. Hart has also called ACC football, SEC baseball and basketball and Southern League baseball for CSS (Comcast/Charter Sports Southeast). Hart also spent nine summers calling minor league baseball for the farm clubs of the Diamondbacks, Cardinals, Blue Jays, White Sox and Mets, and is a two-time winner of the Southern League Broadcaster of the Year Award. Hart is one of four national media members who votes on the Associate Press college football poll. He currently resides in Atlanta with his wife and two children.